Harold Emerson, husband to Joy, father to 5 (and their spouses), grandfather to 11, and great grandfather to 10. Throughout his 93 years, 5 months, & 19 days he wore many titles including "Reverend" to many who knew him through the vocation that occupied much of his professional life. He dedicated many years sharing the love of Christ as a chaplain at the Ethan Allen School for Boys and in the U.S. Army. At 11 p.m. on April 7, 2018 he passed from this life into the next. His son, Richard was reading Scriptures at his side at the end of a long week that had offered him a chance to be with, at one point or another, ALL of his children. While it's natural to feel saddened at this loss, we instead focus on the celebration that we can share in knowing he is, because of God's immense grace & compassion, MORE alive in His presence than his human body ever allowed him to be here. He is worshipping his Savior face-to-face, experiencing sensations and sights we ourselves can only anticipate as we await the day of our promotion to that perfect world beyond. He has loved and served our family and so many others as well. We will miss his laugh, his corny jokes and puns... but wouldn't begrudge him one second of the life he now has and knows with our loving Lord. Thank you for loving, teaching, and giving all of us so much. A memorial service was held Sunday, April 8, 2018, at Beautiful Savior Lutheran Church in Waukesha. Burial of his cremains will be held at a later date at Washington County Memorial Park in West Bend. 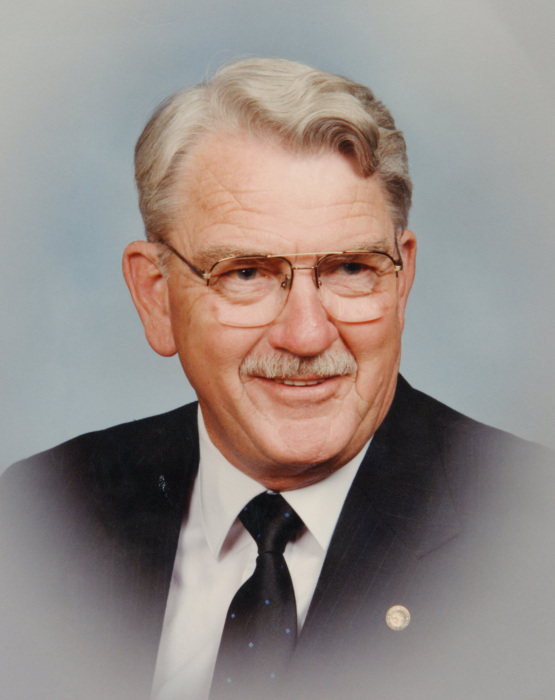 The Myrhum Patten Miller and Kietzer Funeral Home has been entrusted with Harold’s arrangements. Additional information and guest book may be found at www.myrhum-patten.com.